Bar chart is one of the most important and commonly used graphs to display and to compare the number and different or items. In this tutorial, you will learn to make bar chart XML UI design for your android application. Bar chart is also known as bar graph. A bar is plotted either vertically or horizontally to show comparisons among different categories. 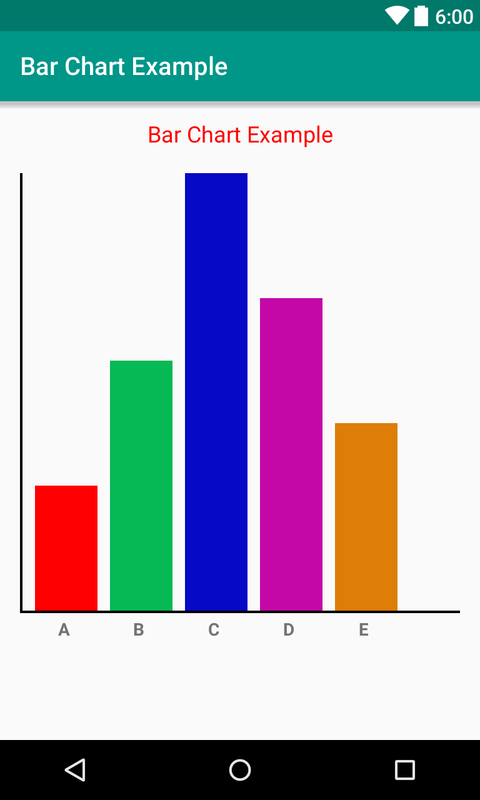 Most of the time bar chart are plotted vertically and the taller is the bar, the larger will be the category. Sometimes, data can be plotted horizontally which is called horizontal bar chart or bar graph. Here I have made two vertical bar charts. 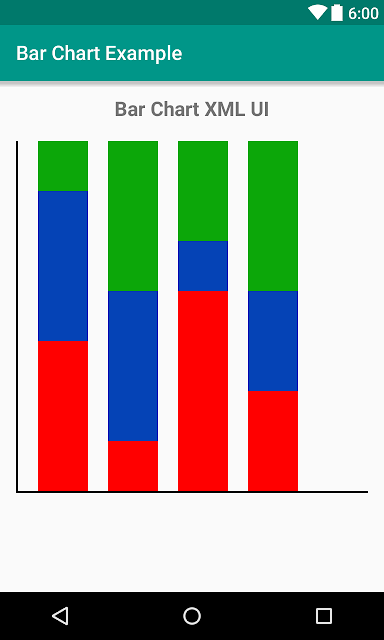 First chart shows different category vertically with different color. I have written A, B, C and so on instead of category. And second chart shows three different categories in the same bar for different year or different company or different family. Create a new android project with the project name Android ChartBar XML UI Design and open XML layout file or create new XML layout file in your application. Here I have added different views like TextView, View with LinearLayout. Following is the complete content of XML layout file. Again create a new XML layout file and add TextView, View, LinearLayout, RelativeLayout to make bar chart that shows different combination in a same vertical line. Following is the complete content XML layout file. Here I have only shown two types of bar charts. You can make any type of bar chart in android application like this and you can also use third party library to make graphical design in android.